Recently in a LinkedIn group, one of the members asked the following question: “The global economy is slowing down, but you’ve been asked to do the impossible: Control costs AND improve customer service experience. How can you do it?” While I commented within the group, LinkedIn limited the space allowed for the response so I wanted to elaborate here. Here are three low cost ways that have worked for me in improving customer service. Create a Customer Satisfaction Investigation (CSI) team. Isn’t it criminal to take a customer’s money and then not deliver to meet his expectations? This team, with at least one representative from every department, should meet at least once a week to review customer feedback. Like a CSI team, the purpose of the team is to review all the details of each negative customer experience to see if they can find out why it happened. If you do not have a survey process, ask your employees to document and forward any complaint to the CSI team. For every customer who complains, 26 others didn’t say anything (Lee Resource, Inc.) and simply walked away. No one can afford that kind of customer churn. Once identified, work fast to eliminate the dissatisfier. 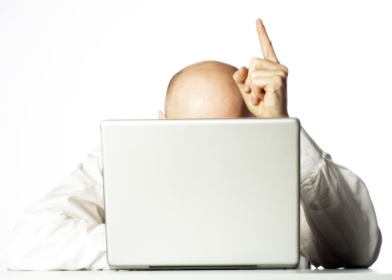 You cannot begin to satisfy customers until you remove all the potential dissatisfiers. You have got to remove them from negatively affecting future customer experiences. Continually remind your team of the importance of customer service. One of my favorite quotes is from Samuel Johnson, “People need to be reminded more than they need to be instructed.” Day One and Done customer service training is simply not enough. It’s amazing how much of the first day of new hire orientation is spent on defining the rules and restrictions, usually required by the legal department, that, if not followed, will result in termination. While that information is important, consider the overall message you are giving new employees at the end of their first day. Balance the message by describing the empowerment processes that employees can use to exceed customer expectations and offer specific stories when employees went above and beyond for your customers. After onboarding, continue to reinforce that message with customer service tips and stories via email, screensaver messages, and periodic refresher customer service training. As many of the luxury hotel chains and fine dining restaurants known for delivering consistently exceptional service, conduct a fifteen-minute daily briefing that reinforces your brand’s core values and service standards. Recognize and celebrate those who deliver great customer service. 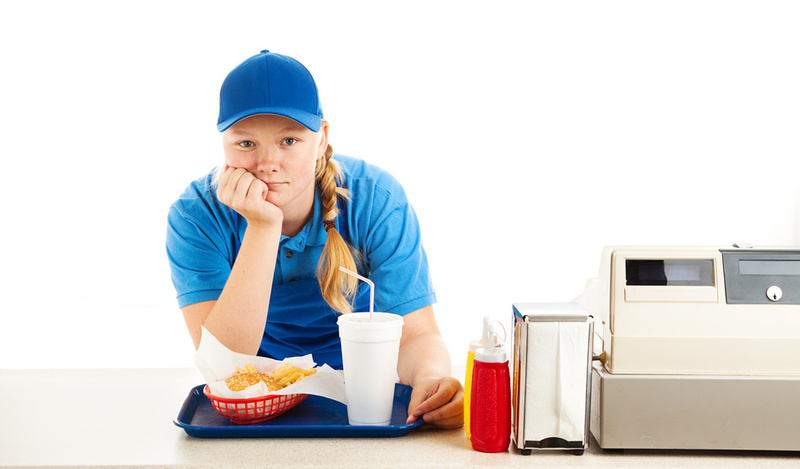 Too often managers focus on identifying an employee’s service deficiencies. These “areas that need improvement” are usually only conveyed to the employee at the annual performance review. Instead celebrate throughout the year the stories of employees who have created WOW moments for their customers. Create a booklet of customer service stories to be distributed on Day One of your onboarding process. Every new employee is a sponge of company information on the first day. Let them soak in the stellar reputation of your company as built by your customers’ perceptions of your employees’ exceptional service. To reinforce that Day One feeling, frequently post or distribute via email the positive customer comments. Send a handwritten thank you note to the home of the individual employees who created a memorable moment for one of your customers. You can be assured they will share proudly that note with their family. If you want your employees to make it a habit to deliver outstanding customer service, you have to make it a habit to thank them when they do. When you systematically remove the potential dissatisfiers, continually remind your employees of the importance of customer service, and habitually recognize and celebrate the stories of exceptional service you will increase dramatically the value of service as perceived by your customer. In customer service, your people are NOT your most important asset. Customer service is all about building relationships – relationships with superiors, direct reports, vendors and customers. Stephen Covey, author of The 7 Habits of Highly Effective People, claims that success in any job is 20% knowledge and 80% interpersonal skills. Ultimately success in customer service is all about interpersonal skills. Unfortunately, while there are people who want to work in customer service, many lack the necessary interpersonal skills because they have grown up or interacted with others in a generation far different from our own. I am convinced that people can only deliver an experience that they themselves have experienced. 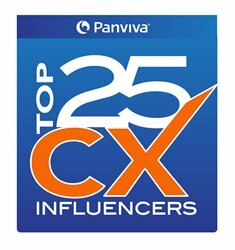 In order to succeed in customer service, they would have had to personally experience and learn from great examples of others exhibiting stellar interpersonal skills in their day-to-day interactions. But those opportunities to learn firsthand from face-to-face interactions have all changed in less than a generation. Like many of you, when I earned my first paycheck there was no direct deposit or internet banking. We would have to go weekly to the bank to deposit our paycheck. After a while, the teller got to know who we were, where we worked, what we did there, and regularly asked how work and our company was doing. We learned how to communicate personally as a result of those interactions. But with on-line banking and ATM’s, when was the last time you had to actually go into a bank? We have lost that opportunity for regular personal interactions. I was a member of after school clubs in school and in that process I collaborated with others in person. Now many young people are more apt to spend as much time with an on-line team of avatars of people they have never met playing Call of Duty or Warcraft. All those hours on-line, but what interpersonal skills are they learning from that experience? Remember when gas stations used to have the attendant check your oil and tire pressure, clean your windshield and ask us if there was anything else they could do for us ? How bad has customer service gotten when we never see an attendant and actually pump our own gas? Where is the interpersonal skills reinforcement in that experience? This will date me, but I remember when the baggers at the grocery store would actually take the bags in a shopping cart and help me load them into my car. Not only are the baggers gone, but so are many of the cashiers, replaced by self-serve checkout lines. And even the cashiers who are on duty certainly have no time to strike up a social conversation. The average Facebook user today has 200 friends. When people posts on their page, they don’t have a loss of self-esteem when only three “like” the post. The other 197 have ignored them – and they are OK with that! Even those that “like” the post rarely leave a comment to begin an interaction. Social media, then, is rarely social. I have a cell phone and young people have cell phones. But what are they doing with their cell phones? OMG. LOL. I’m so old I remember someone actually laughing out loud on my phone. Texting is really one-way communication. You don’t hear voice tone or inflection or a pause. Two text monologues on do not make a real dialog. So the experiences for many people are not full of the good examples of emotional intelligence, body language or verbal communication that only face-to-face interactions can teach. I believe that translates in a real world that is OK to ignore the customer and our co-workers. We don’t have to greet our co-workers every morning or every customer who walks through the door. Having not experienced good examples of communication, collaboration or relationship-building skills, how will those people we entrust to take care of our customers be successful? And if we allow ourselves to accept that level of performance as adequate, how will our businesses succeed? The answer is that we, as managers, are responsible for the education of those who do not have those skills. For us to succeed in this very competitive customer service marketplace, we will need the right people. We will need people who know how to consistently welcome our customers with eye contact and a smile, listen and respond empathetically, and bid them a sincere fond farewell. So we will need to ask the proper interview questions with the specific intent on finding out if the candidates have the necessary skills of expressing sincerity, empathy and trust. And we will be the ones who will have to educate the people we select to deliver the experience our customers are expecting from us. Customer service cannot be “Day One and Done” training. Soft skills reinforcement must be continuous. Only then will we build the interpersonal skills of our staff to drive their success and ours. A while ago I had blogged about using the CASE Method to improve your company’s customer experience. CASE stands for “Copy and Steal Everything”. If you feel uncomfortable with “Steal”, then “Copy and Save Everything”. I said you should be more intent on observing within and outside of your industry for ideas that you can CASE. Then tweak the idea to make it your own. I recently read an article in Software Advice’s Customer Service Investigator, which featured a discussion with Communications Coach and Author Carmine Gallo on some strategies for mimicking the customer service efforts of Richard Branson’s Virgin Group. 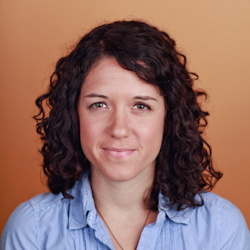 While the tactics discussed are agreeably good ideas for promoting a strong customer experience, I wanted to further explore how other organizations could CASE Virgin’s best practices with the article’s author, Software Advice Managing Editor Holly Regan. You can learn more about Software Advice at the end of the post. What is the risk involved with allowing customer service reps to operate within the “judgment playing field” (make their own decisions within boundaries)? How can other organizations comfortably adopt this tactic? When you allow employees the freedom to make their own decisions, you open yourself up to the possibility that, occasionally, they will make the wrong ones. However, if you delineate clear boundaries for your judgment playing field ahead of time as to what employees are and aren’t allowed to do, you can ensure that even the occasional wrong decision won’t significantly harm your business. Defining these limits for acceptable behavior and communicating them to all staff members is one way organizations can feel comfortable about adopting this tactic. The other piece of the puzzle is smart hiring. If you have a strict screening process that ensures you only have people on staff who fit with your company culture and values, you can feel comfortable trusting them to make the right decisions. Are there other benefits associated with instilling the company mission in all staff besides an improved experience for the customer – that is, do you find that employees also have a greater sense of purpose with knowledge of company goals and are willing to work harder? Yes–instilling your company mission in all members of your staff not only allows them to deliver that mission to customers, it also gives them a higher-level view of what the company is trying to achieve through every customer service interaction. Employees who know what they’re working towards and why tend to work harder and are better able to internalize the mission and become passionate about it. They are empowered to deliver great service, regardless of their level of authority within the company. Virgin’s employees are proof of this: customers of Virgin America and Virgin Atlantic laud the consistency of their service experience from boarding to baggage claim. The staff member checking them in for their flight portrays the same passion and enthusiasm as the flight attendant serving them in the air, because they’re both working towards the same mission. The Ritz-Carlton Hotel Company is another great example: everyone who goes through training at one of their hotels is immersed in the company mission, from basic etiquette to service psychology, and employees of every department are empowered to do whatever it takes to deliver on that mission. As a result, they are praised as some of the most passionate customer service reps in the world. Which members of the customer service team should have an open door policy, and how does such a policy satisfy employees? Anyone in a management position should have an open-door policy, from the shift supervisor to the CEO. Having a forum in which employees can provide feedback – and encouraging them to do so frequently and honestly – is crucial for any service-oriented organization. Management needs to have an accurate picture of what’s working and what’s not on the ground, and who better to provide that than the employees who are directly interacting with customers day-to-day? Your service reps are the best source of feedback on what customers like about your company, and what they need that they aren’t getting. Having an open-door policy is not only helpful for management – it also shows employees that they have a voice and that their managers genuinely care about their needs, concerns and suggestions. Employees must feel truly valued in order to feel passionate about the company they work for. Managers must also make sure to communicate with employees about how their suggestions for improvement are being implemented or why they decided not to act on them. When employees know they aren’t just giving feedback in a vacuum, they’re more likely to keep providing it. And seeing their ideas put into practice is empowering and inspires them to always be looking for new ways to innovate in customer service interactions. As mentioned in the article, customers don’t want to interact with a robot. Service is much more effective when it’s perceived as genuine, and scripting definitely discourages this. Instead of giving reps specific instructions for what to say and how to act, managers should focus on hiring quality employees who exude the company’s culture, mission and values – and who can be trusted to use their own judgment to deliver on that. By clearly defining the judgment playing field, you can ensure your employees don’t get too far off-track while also allowing them to interact naturally with customers, as they would with a friend or colleague. This not only gives reps the freedom to be themselves, it gives customers the benefit of a unique, memorable and genuine interaction that will keep them coming back. Software Advice is a free online resource that reviews CRM, marketing automation and sales force automation software. Follow them at @CRMAdvice. Prior to my present position as resort manager for Marriott’s Ko Olina Beach Club, I served as the charter general manager for The Henry – Autograph Collection (Autograph Collection is Marriott International’s exclusive portfolio of independent hotels) when it was reflagged after 21 years as the Ritz-Carlton Dearborn, MI (Ritz-Carlton is a wholly owned subsidiary of Marriott International). Almost all the associates were former Ritz-Carlton “Ladies and Gentlemen”. Last year The Henry was recognized as one of Marriott International’s Hotels of the Year. I am convinced that while they are now The Henry associates they still would bleed Ritz-Carlton blue. And if you’ve every stayed in a Ritz-Carlton hotel you know there is something extraordinary about the refined delivery of customer service by its associates. So when fellow customer service blogger Ashley Furness offered to share an interview she conducted with Diana Oreck, vice president of the Ritz-Carlton Leadership Training Center, I quickly accepted. You can find out more about Ms. Oreck and Ashley at the end of the post. But for now, here is Ashley’s inside look at how Ritz-Carlton educates its associates to deliver its world-class brand of exceptional customer service. The Ritz-Carlton Hotel Company is known worldwide for it’s “legendary service.” So much so, Apple uses the luxury hospitality brand as a model for its owner customer support traditions. For both, it’s all about anticipating the customers’s expressed and unexpressed needs. These practices have not only increased word of mouth and brand loyalty. 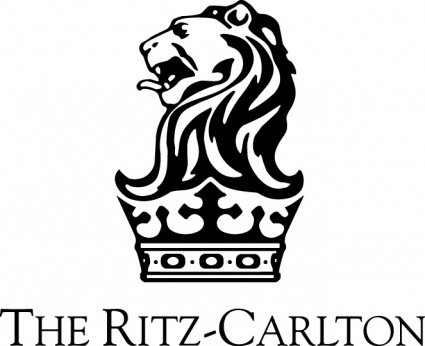 Ritz-Carlton also boasts among the best employee retention rates around. To create raving fans, they start with inciting brand enthusiasm from their team. What sort of questions can you ask someone to find out if they’re caring and can anticipate customer wants and needs? Ritz-Carlton puts a lot of emphasis on successful new hire orientation. Why is this important for customer service training? A lot of companies have a notion that employee orientation really needs to be a data dump of the company, and statistics and who’s doing what. It really isn’t. What we are looking for at orientation is passion. We want to make sure that that new person gets the feeling they made the right decision in joining us. It’s all about them and it’s all about culture. We feel that orientation needs to be significant emotional experience. Because think about it – you are making a very big decision in your life to either start a job or change a job. So our two days of orientation, they are solely revolving around our culture, which we call the gold standards. And the reason we do that is we know that the culture creates passion advocates of our employees. Raving advocates of our brand and we don’t think that it’s realistic to ask that your customer be passionate, raving fans if your employees aren’t first. Is this also something that helps with customer service employee satisfaction and retention? Yes, it’s about engagement. I will give you an example. The lodging industry as a whole tends to run a 60-70 percent turnover in a year. Here at Ritz Carlton we run in the low 20s. It’s a huge difference. What else do you do to promote retention? We’ve got a vast list. Rewards and recognition is huge. Ranging from first class card, which is the most popular form of recognition at Ritz Carlton. Talk about less is more, it’s just a card that says “first class” and we give it to each other to thank each other. 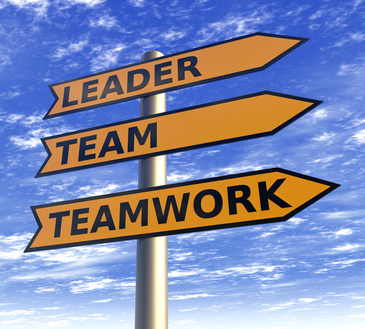 It can be peer to peer, peer to manager, employee to president, president to employee. And then we have things like birthdays, we give gift certificates. You can become five-star of the quarter. We don’t do employee of the month, because we find it’s much for meaningful if it’s the quarter. We are also one of the only hotel companies that still provide meals for their staff. We have gorgeous picnics in the summer and the holiday party and it goes on and on. What metrics or qualitative data does Ritz-Carlton use to measure customer service training success (How do you know it’s working)? How do you collect this data? Oh yes, we poll our guests once a month. The Gallup organization sends out 38 percent of guests that stayed the month before. It’s done randomly with the hope we will get 8-10 percent return. We live and die by that guest engagement number. This is the sum of responses to about 30 questions, including How likely is that guest to recommend Ritz Carlton? Were they delighted and satisfied with their stay? If there was a problem, did we take care of their problem? We know that if that guest engagement number goes up, we know that our training programs have been successful. What are the biggest mistakes companies make when training customer service staff? There not being specific enough. 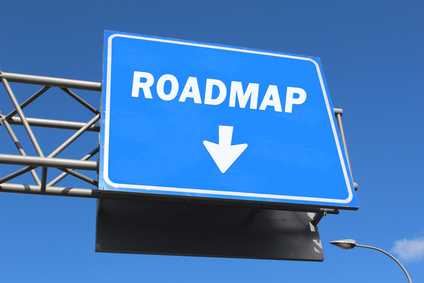 They’ll say things like “Give great service.” Well that’s nice, but people need a road map. Never assume anything, make sure you have your service standards written down and allow people to observe you in action. Don’t assume that their mother or father, or previous employer taught them what really great service looks like. Have a written service strategy. 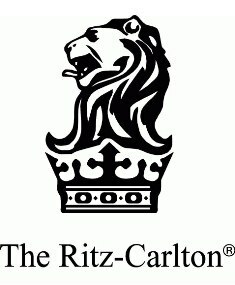 What other successful customer service strategies have companies adopted by studying Ritz-Carlton? It’s all about empowerment. The thing that our guests are most wowed about is that every single employee has $2,000 a day per guest to delight, or make it right. But we never use the money because that money is just symbolic. We are saying to our employees we trust you. We select the best talent. Just help the guest. We do a lot of training around empowerment. So I would say this – you need to empower employees. You also need to make sure that you are inspiring employees to bring their passion to work everyday and to volunteer their best. And you do that by reinforcing their purpose, not their function. Not the how to do your work, but the why of the work you do. 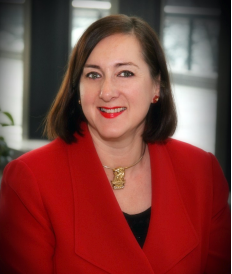 Diana Oreck is Vice President, Leadership Center and leads The Ritz-Carlton’s two-time Malcolm Baldrige National Quality Award-winning corporate university. She brings more than 30 years of experience in hospitality to her role and was named as a 2011/2012 Woman of the Year by the National Association of Professional Women. Under her leadership The Ritz-Carlton Hotel Company was named the best global Training Company in the world in 2007 as ranked by Training Magazine. 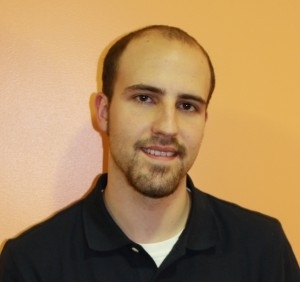 Ashley Furness is a CRM analyst for Software Advice. has spent the last six years reporting and writing business news and strategy features. 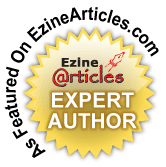 Her work has appeared in myriad publications including Inc., Upstart Business Journal, the Austin Business Journal and the North Bay Business Journal. Before joining Software Advice in 2012, she worked in sales management and advertising. Currently, her research focuses on various topics related to CRM software, sales, customer service and marketing strategy. Follow her on Twitter @AshleyFurness. This is a guest post written by John-Paul Narowski, founder of karmaCRM. Find out more about John-Paul and his company at the end of the post. Recently I purchased a book from the local bookstore. On the way in, I got a friendly “Hi, can I help you find anything?” from a passing employee. I asked where I could find small business books, and she gave me quick directions to the right spot. Perfect. I smiled. As I approached the checkout counter with the book in one hand and my wallet in the other, the cashier greeted me with a warm smile and a friendly “Hello, I can help you right over here. 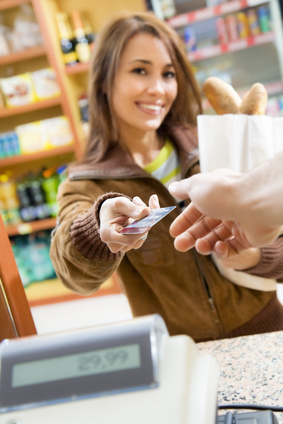 How are you today?” As I handed over my credit card, the cashier even took note of my name. “Thank you, John. Would you like to sign up for our rewards program?” I smiled again. The service so far was outstanding – it made me feel like my business was truly appreciated. I normally avoid rewards programs because I don’t like having all of the extra cards in my wallet. But on that day, the service I’d received put me in a great mood. I said yes. Not only did I say yes, but I also imagined returning to the store for my next book and using my loyalty card. After all, this local store was right down the street and everyone was so friendly. I’m sure many of you have experienced something similar. It doesn’t take a genius to realize that Claire had been trained to follow a standard “customer service checklist” – one of those 3 step magic bullet systems designed to, in this case, get me to sign up for the rewards program. Smile, say thank you, read the name off of the card, and ask to join. I’m not the only customer that can see right through that – especially when it becomes obvious that the employee wasn’t really listening. To Claire, forgetting my name was no big deal. To me, Claire represented the local bookstore. As Bill is fond of saying, “To the customer, YOU are the company.” When she forgot my name after her canned 3-step loyalty card checklist, it made a big difference. It was as though the bookstore had already forgotten about me, my money, and my choice to support their local business. As a small business owner myself, customer service is one of my passions. After all, the customers pay for the employees, the store, the product, the lights, the counter, and everything else. But here’s the kicker. The customers aren’t thinking about all of that. They pay for their experience, not yours. So why shouldn’t we focus on customer experience? I call this business philosophy customer-centricity. I’ve made it the focus of my entire business. Every decision I make, from hiring and training employees to refining my product, is designed to provide the customer with a better experience. Next time you catch yourself or your employees following a checklist, ask yourself if the customer feels special. Then do something extra and see if it makes a difference. Grow out of relying on the checklist. Put in that extra effort to make the customer feel special. Trust me – the customer does care, and they are paying attention. 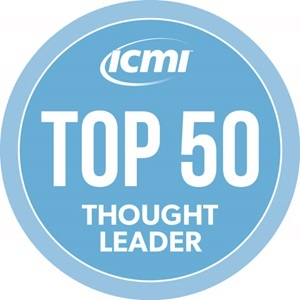 John-Paul Narowski is a customer-centric thought leader and founder of the Ann Arbor, MI-based karmaCRM, a small business software solution designed to help manage sales teams and build strong relationships with customers. John-Paul, or JP as his friends call him, is fanatical about customer service and the customer-centric business model. Improving customer relationships is his passion and his business. Every decision JP makes at his company, from hiring employees to developing new features for his software, is based upon improving the customer experience. JP was recently interviewed by fellow customer service expert, Shep Hyken, where he discussed further his customer-centric philosophy. You can read that post here. Find out more about JP and karma at http://www.karmacrm.com. You can also follow karmaCRM on Twitter. In a minute I will turn over this post to James Lawther, this month’s guest blogger. But first an introduction. James Lawther is a middle aged middle manager. To reach this highly elevated position he has worked for numerous organisations, from supermarkets to tax collectors and has had several operational roles including running the night shift for a frozen pea packing factory and doing operational research for a credit card company. As you can see from his CV he has either a wealth of experience, or is incapable of holding down a job. If the latter is true this post isn’t worth a minute of your attention. Unfortunately, the only way to find out is to read it and decide for yourself. You’ve got to agree that someone with that kind of broad professional experience and sense of humor about it is well worth following. Since subscribing, we have exchanged comments on each other’s blogs and via Twitter and I have really enjoyed the dialog. If you are intent in driving continuous improvement for your business, I’d recommend learning from James by visiting his website. Today I am going to infect you with some viral wisdom. If you haven’t been struck down yet, viral wisdom is the plague of the 21st century. Victims suffer with assorted symptoms including lost time, vague fleeting thoughts and exasperated looks from their husbands. The infection passes from friend to friend via the links they post on facebook, and the e-mails they send. The wise realise that the most contaminated place in the world is the twitter stream sitting on their very own iphone. The most contagious strain of viral wisdom cloaks itself cunningly. It appears to be very sensible, creates a palpable “a-ha” moment in the mind of the reader, is a little bit (but not too) clever and compels you to read on because you never know, it could be really informative (unlikely, but possible). It is hard to be wise in 140 characters but I’m sure you can take some meaning from that, did you feel the “a-ha”? The second piece of wisdom came form an e-mail a friend sent me. It was an interview with Will Smith. Before I share it, I need to set the record straight, I like Will Smith, I used to watch the Fresh Prince of Bel-Air avidly and Men in Black has to be one of the world’s greatest movies, (well the eight foot tall cockroach was worth seeing) but let’s be honest, Mr. Smith isn’t exactly remarkable is he? And there is the second piece of viral wisdom. If you want to be successful there is no substitute for hard work. None of it requires genius, massive insight, immense personal presence or super human strength. It just requires hard work. Now would be a good time to stop stumbling, digging or reading blog posts, and give Bill a phone call so you can make a start. Alternatively, if you want a little more quasi wisdom, you should read my blog about service operations. It is quite infectious. Do you have a Customer Service Manifesto? Imagine if you could get each person on your team focused on the same vision and commitment to the delivery of the World’s Best experience for each customer. Your company’s service reputation would be broadcast so loudly by all of your customer loyalists that you easily would dominate your competition. So how do you do it? How do you get everyone on your team reading from the same book? Simple. Put it in writing. Literally let them read from the same book. Create your customer service manifesto. Your manifesto is a declaration of your company’s customer service creed, principles and intentions. Do not confuse this booklet with the employee handbook. The latter defines the legal responsibilities of the company and the employee. Your manifesto defines your company’s service culture. The employee handbook defines the limitations of personal performance. Your customer service manifesto defines the principles that each team member should aspire to perform. Big difference. Why is writing your customer service manifesto so important? Review your company’s first day orientation agenda for a new employee. I am sure you will find that, while benefits are reviewed, much more time is spent on company policy – email and social media guidelines, conduct on and off duty, house rules, safety, sexual harassment, and on and on. It’s like saying to a new employee, “Welcome to the company. Now here is how you can get fired.” On the first day, you spend more time explaining the obstacles more than you do how to go above and beyond to wow your customer. What’s wrong with that picture? Mission Statement – Your mission statement should answer three simple questions: What do you do? How do you do it? Who is your customer? Keep it short. Your mission statement should be memorable and easily recitable. Disney offers one of the best examples of a mission statement: (What do you do?) We create happiness (How do you do it?) by offering the finest in entertainment (Who is your customer?) for people of all ages, everywhere. It is simple, yet aspirational. What is your mission? Is it memorable? Can your employees get passionate about it? Your Company Heritage – Most businesses give a new employee a historical timeline of major events. But a heritage is something more. A heritage incorporates the “why” behind the “who, what and when”. A heritage is the storytelling of the rich tradition of your company. Marriott employees all know the story of newly wed J.W. and Alice Marriott’s trek from Salt Lake City to Washington, D.C., the nine stool Hot Shoppe where J.W sold 5 cent A&W root beer, and the sticky nickels hand carried to the bank by Alice Marriott. What is your company’s story? Core Values – The core values for Baptist Health Care are Integrity, Vision, Innovation, Superior Service, Stewardship and Teamwork. Yum! Brands employees focus on CHAMPS: Cleanliness, Hospitality, Accuracy, Maintenance, Product Quality, Speed of Service. What are the pillars on which your company is built? Appearance Standards – To the customer, the employee is the company and first impressions do matter. Your message here should convey that an employee’s appearance should be a reflection of your company’s professionalism and not an employee’s personal style. Performance Tips – Define the specific behaviors that can guide employees to act courteously with customers in person, on the phone and on-line. Include in this section the forbidden phrases like “Honey, Sweetheart.” “I don’t know.” “You should have . . .” and “To be honest with you . . .” while offering performance expectations such as answering any ringing phone within three rings or an email within 8 hours, as well as using the person’s name at every opportunity. You know how to properly interact with customers. How do you want your employees to act? Tell them by writing it down. Service Recovery – Marriott Hotels uses the service recovery acronym LEARN: Listen, Empathize, Apologize, Respond, Notify (your supervisor and co-workers so that it does not happen again to future customers). Other businesses use the acronym LAST: Listen. Apologize. Solve. Thank (the customer for bringing the issue to your attention). What are the service recovery steps that you expect every employee to take when confronted with a dissatisfied customer? Experience Flow Chart – Jan Carlson, then CEO of SAS Airlines, defined a Moment of Truth as “anytime a customer comes into contact with any aspect of a business, however remote . . . to form an impression.” Whether you call it an experience flow chart or experience journey map, plot all the emotional touchpoints of the customer’s experience. The employee can then be more aware of the key opportunities to wow your customers. Aspiration page – This last page could be customer testimonials, motivational or customer service quotes or a parable like The Starfish Finder. (Google “Starfish Finder” if you haven’t heard of this story). This last page should serve as aspiration that one person truly can make a difference in the experience of a customer. But merely writing and distributing the customer service manifesto at orientation is not enough. Spend time with the new employee to give your personal interpretation of the meaning and importance of the key components. Samuel Johnson said, “People need to be reminded more often than they need to be instructed.” Ritz-Carlton established itself as one of the finest luxury hotel brands by mandating a daily line-up where that day’s Ritz Carton Credo card’s performance tip is reviewed. So refer to your manifesto often and ideally discuss daily one item within it to instill in each employee your company’s mission, values, and performance expectations. And when you do, you will see that each employee will deliver consistently the World’s Best Experience to every one of your customers. Leadership Mantra for New Managers: Connect. Inspire. Empower. When I served as a hotel GM, I had the opportunity to promote many front-line employees to their first management position. My commitment to them did not end at giving them a new title. That’s the easy part. More importantly, I needed to make sure they succeeded in their first leadership role. According to Kouzes and Posner, these managers supervising the staff who were directly interacting with our guests had as much, if not more, impact than I did on employee engagement and subsequent customer satisfaction. And while each new manager displayed strong interpersonal skills that served them well to earn the promotion, managing people requires a different set of skills. We all know of an all-star employee who failed as a manager. So my advice to any first-time manager is to live this leadership mantra: Connect. Inspire. Empower. Before making any major changes as a new manager, take the time to get to know your direct reports. Find out their personal and career aspirations. Then work hard to help them achieve their goals. Talk to each member every day. Visit the break area regularly just to chat. Get to know what they like to do outside of work. Given the opportunity, meet their significant others and family. Celebrate your employees’ birthdays and anniversaries. They know when they are scheduled on their birthdays and the date they started working at your business. You should, too. Remember that without involvement there is no commitment. If you are not involved with them, then they simply won’t be committed to you. Your business has a mission statement. As a leader, you should have a passion statement. The best managers are passionate about what they do. Frankly, if you are not passionate about what you do, you have no right to manage others. That said, be sure to express your passion to your people. What do you envision for the business? The owner or senior manager has a vision for the business. What is yours? Let your people know. Once they see and share your “big picture”, then every step your people take will be in that direction. Keep your passion statement short. Say it often. Make it stick. Your message cannot be mentioned only at new hire orientation. You must continually and consistently express your vision. Rule #1: Use best judgment in all situations. There will be no additional rules. Most likely your guidelines will be a little more conditional, but whatever you decide, make sure you define and cite examples for your team. And continue to monitor, recognize and reward those employees who do take action. Connect with your people. Inspire them. Then empower them. This is not a one-time thing. It is an everyday thing. And when you live this mantra, you will be an involved leader with an engaged team, all intent on delivering the very best experience for your customer. Last night I was shopping in the local vitamin shop when I overheard a customer tell the cashier, “I think someone just left their credit card.” The cashier says, “It might be that woman’s,” and points to the lady outside just about to get into her car. It was very obvious the cashier wasn’t going to do anything else so the customer took the card and practically ran out to ask. It wasn’t hers. The customer brought it back, left it on the counter and went about shopping in the store. The card was still on the counter when he went back with his purchase. The customer picked it up and placed it behind the counter. The cashier just left it there. He didn’t stick in the register. He didn’t give it to the manager. Nothing. That cashier didn’t get it. To that cashier, it was simply a piece of plastic. To him, no big deal. To us, as customers, credit cards are unbelievably valuable. If we ever misplace a credit card, let alone lose one, we panic. To us, it’s a BIG deal. As a customer, you know that we don’t buy from companies; we still buy from people. And we buy from people we know, like and trust. In just reading about what happened, you see as I see, as a customer, that the cashier is the store. And that one act that he does not think was at all important to him is the snapshot we take of that business. To the customer who found it, to the customer who hopefully will claim her card and to me, we are all questioning the trust we can have for that store. And that mental snapshot stays with us until another snapshot of that business replaces it. In fact, for some customers, it may take a motion picture worth of positive impressions before that one snapshot is deleted. It takes 12 positive service incidents to make up for one negative incident. And some customers who have a bad experience may never give a business a second chance, opting simply to walk away, intent on never coming back. Now put on your customer service hat. When you serve customers remember, “To the customer, YOU are the company”. If you are a customer service manager, reinforce to your team that each interaction with a single customer represents all of you as a business. Every act of any one individual is a customer’s snapshot of your company’s likability and trust. And every act, no matter how small, is a big deal.